65 year old advanced POAG pt presents for follow up examination. H/O Trabeculectomy X 4 years ago IOP controlled on all visits since surgery between 10-13 mm Hg. 20/25 vision in his only eye. Rpt HVF compared to the previous year suggest that the central 5 -7 degrees through which the patient is seeing appear sto have gotten worse. Look at the most recent HVF test and answer the following -1. did the HVF really get worse 2. 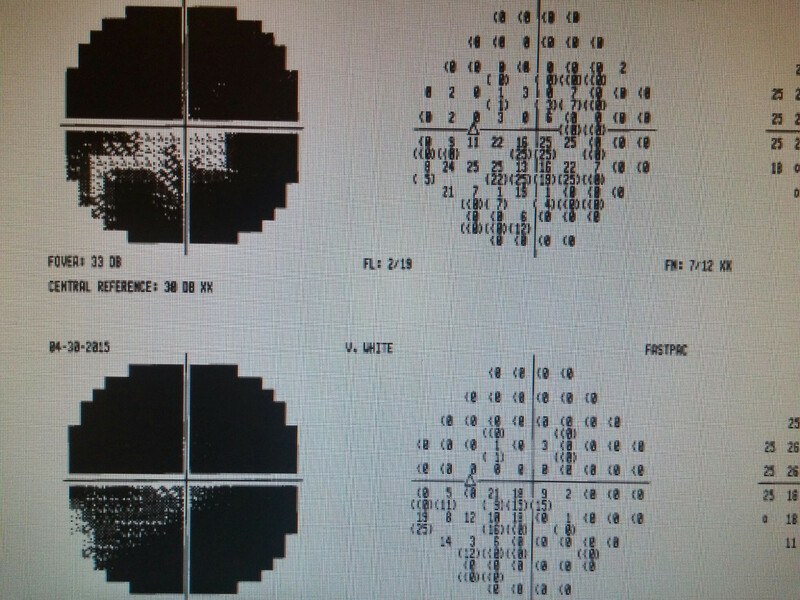 Assuming that this is worseing glaucoma, what can be done ?.3 Notice that the patient has high false negatives. Whta does it mean in this instance . 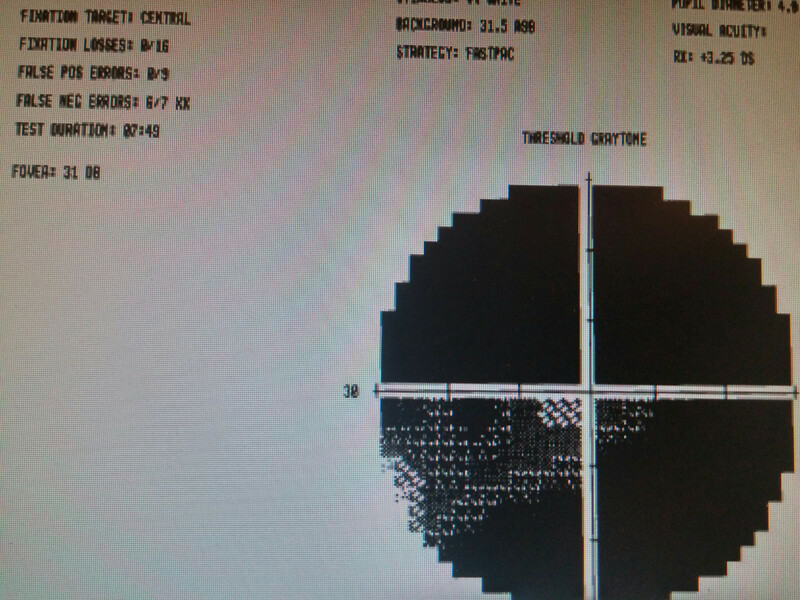 This patient appear sto have a well controlled POAG with IOP belwo 13 x 4 years. Comparision of the HVF appears to suggest that the patient may be loosing more VF. However closer look at the recent HVF indicates high false negatives. False negatives could indicate either inattention or patients microsaccades making the spot to jum from a scotomatous edge to non scotoma (that the micromotion of the eye can move the target from a seeing portion to teh adjacent non seeing scotomatous portion or vice versa. This is typically seen in patients with advanced glaucoma such as the present example. In other words, this patient probably is doing OK inspite of what appears to be worsening VF. When in doubt, always rule out other reasons such as 1. elevated IOP by performing seriel tonometry 2. R/O Poor circulation by performing carotid US 3. Could be just age related loss (may be 1% per year)for which there is no treatment.